The Ella Wade-Beer Foundation project was created to bring awareness to Domestic Violence. 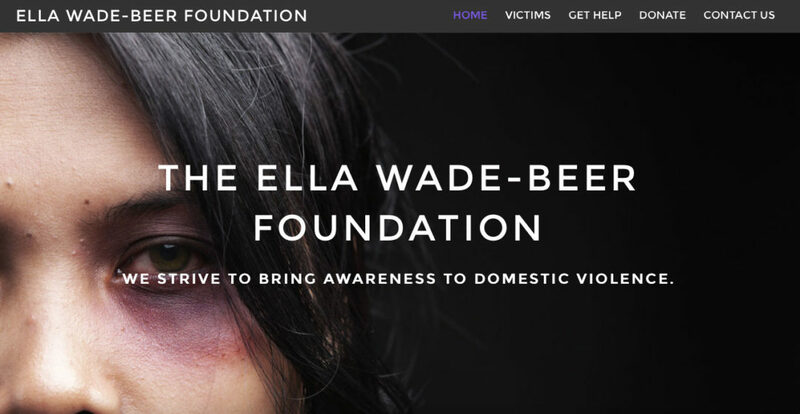 The Ella Wade-Beer Foundation’s mission is to assist women and children who are victims of domestic violence, including emotional, economic, sexual and physical abuse. The agency provides emergency funding as available, emotional support, and educational information and services focused on safety, empowerment, and self-sufficiency. Through community partnerships, the Ella Wade-Beer Foundation raises awareness, provides services, and educates community members about domestic violence.